A family of three was displaced after a Saturday afternoon fire at their Long Beach residence, which left one of their two pet cats dead, according to the Long Beach Fire Department (LBFD). 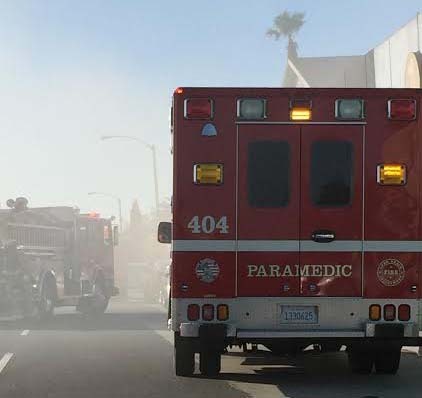 Firefighters responded to the 1900 block of Seventh Street—near popular Long Beach bar Que Sera—at about 3:20PM, at which time they found heavy fire coming from the second floor of a two-story duplex, LBFD spokesman Mark Miller said. The fire was extinguished about 12 minutes later. Fire officials do not know where exactly the fire started but did say the fire went through the walls into the attic. One of the family’s pet cats died at the scene while the other was rescued by fire personnel and subsequently taken by Animal Control, Miller said. The family, two adults and a minor, were taken into care by Red Cross personnel. Five engine companies, one truck company, two paramedic rescue trucks and one battalion chief vehicle responded to the incident, according to Miller. Photo above courtesy of Sherwood Souzankari. This story was updated on 2/8/16 at 9:50AM with a tweet from the LBFD regarding rescue efforts of a pet cat.